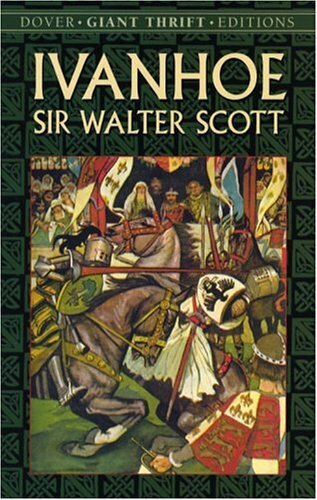 The epitome of the chivalric novel, Ivanhoe sweeps readers into Medieval England and the lives of a memorable cast of characters. Ivanhoe, a trusted ally of Richard-the-Lion-Hearted, returns from the Crusades to reclaim the inheritance his father denied him. Rebecca, a vibrant, beautiful Jewish woman is defended by Ivanhoe against a charge of witchcraft -- but it is Lady Rowena who is Ivanhoe's true love. The wicked Prince John plots to usurp England's throne, but two of the most popular heroes in all of English literature, Richard-the-Lion-Hearted and the well-loved famous outlaw, Robin Hood, team up to defeat the Normans and reagain the castle. The success of this novel lies with Scott's skillful blend of historic reality, chivalric romance, and high adventure. The Antiquary, Scott's personal favorite among his novels, is characteristically wry and urbane. It deals with the problem of how to understand the past so as to enable the future. Set in the tense times of the wars with revolutionary France.